No need to fear this cute little Cushy Kid plush tiger kitten. With striped orange fur and white accents, Baby Timmy is a purrrr-fect pet. The elastic loop makes Cushy Kids plush tiger Baby Timmy a great take-along friend. 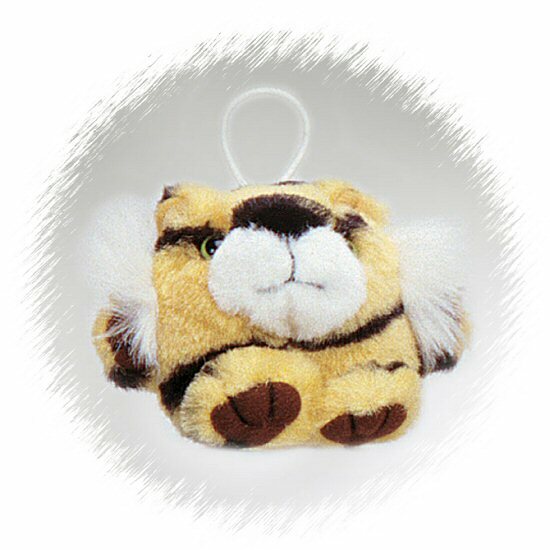 Baby Timmy plush tigers not only make wonderful gifts, but they are also perfect as ornaments, package tie-ons, and birthday bag favors.